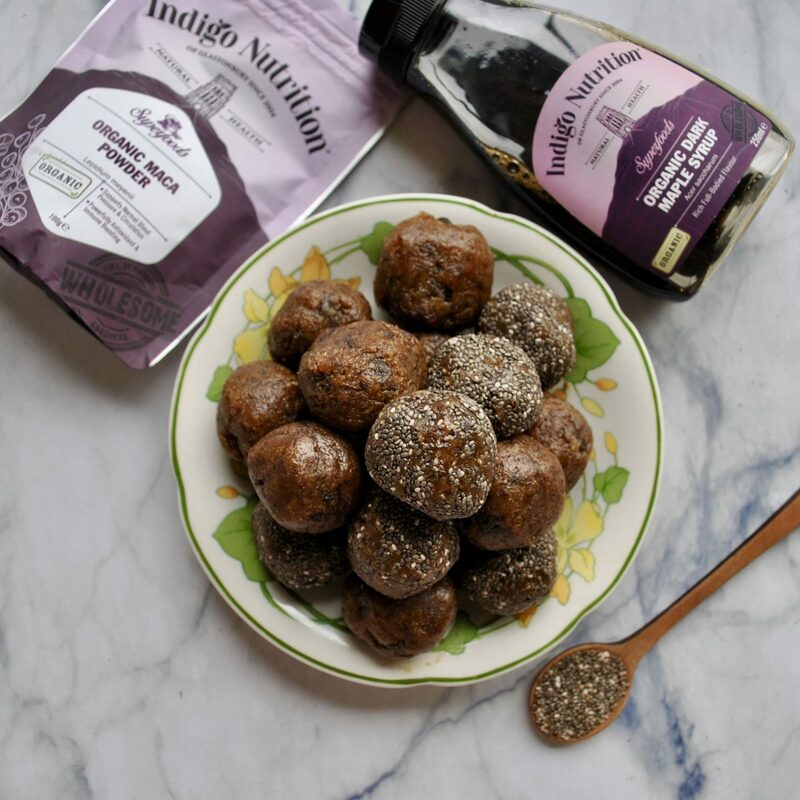 Out of all the energy balls I’ve played around with, these ones are hands-down my favourite, plus they’re packed to the brim with ingredients that will nourish your body. 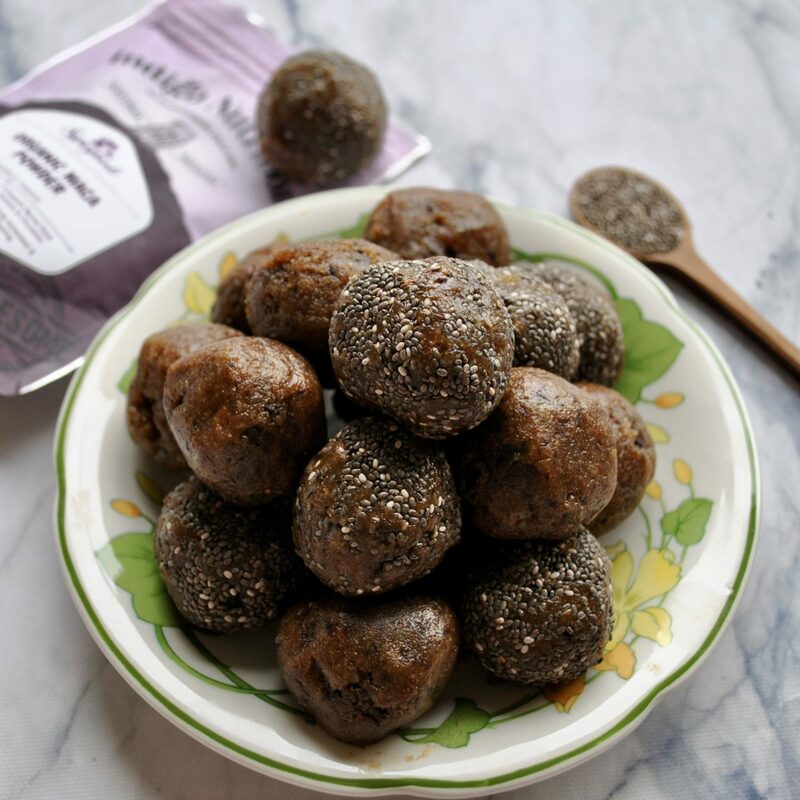 The malty-caramel taste of maca powder, coupled with the nutty macadamia butter and sweet Medjool dates, come together to form a melt-in-your-mouth treat. Maca also works really well in my Salted Maca Caramel Ice Cream. 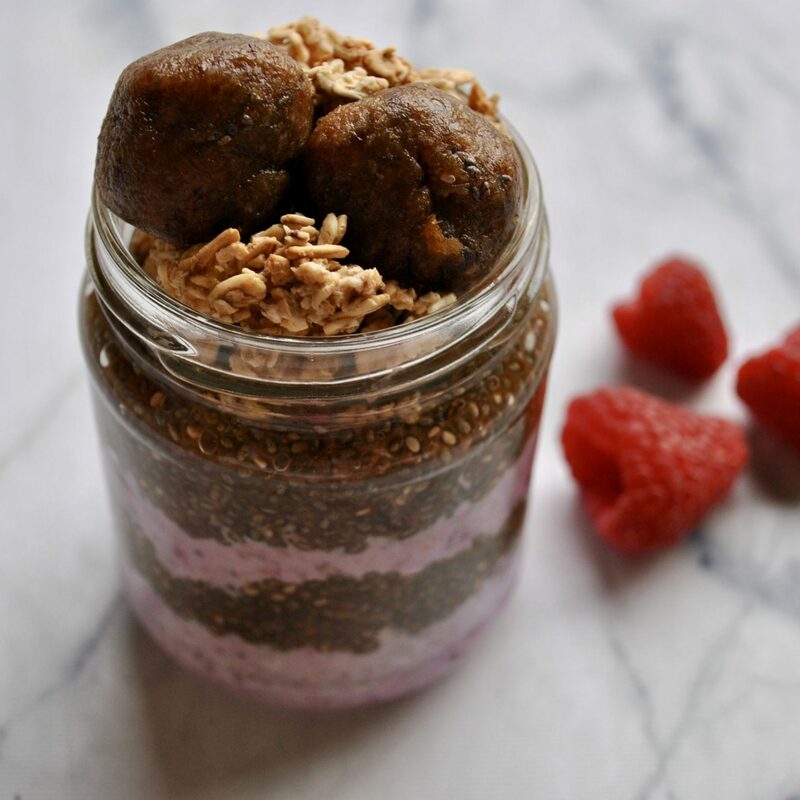 The gooey, chewy texture gets a little extra crunch from the dark chocolate chunks, as well as from rolling half the balls in chia seeds at the end. 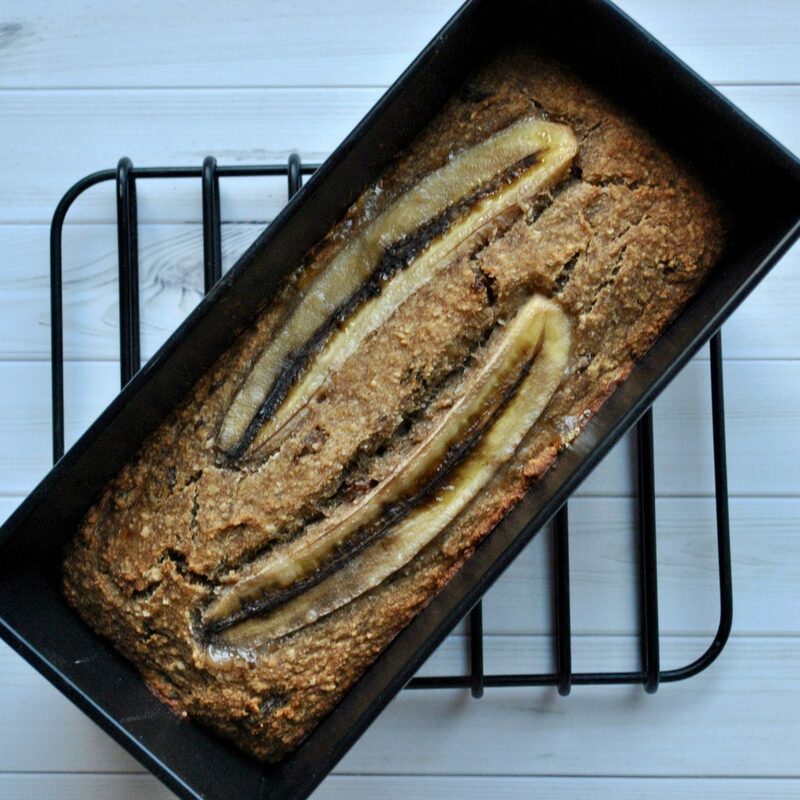 This recipe is incredibly easy to adapt, so feel free to switch up the nut butters or dried fruit. Alternatively, swap chocolate chips for cacao nibs or pumpkin seeds. 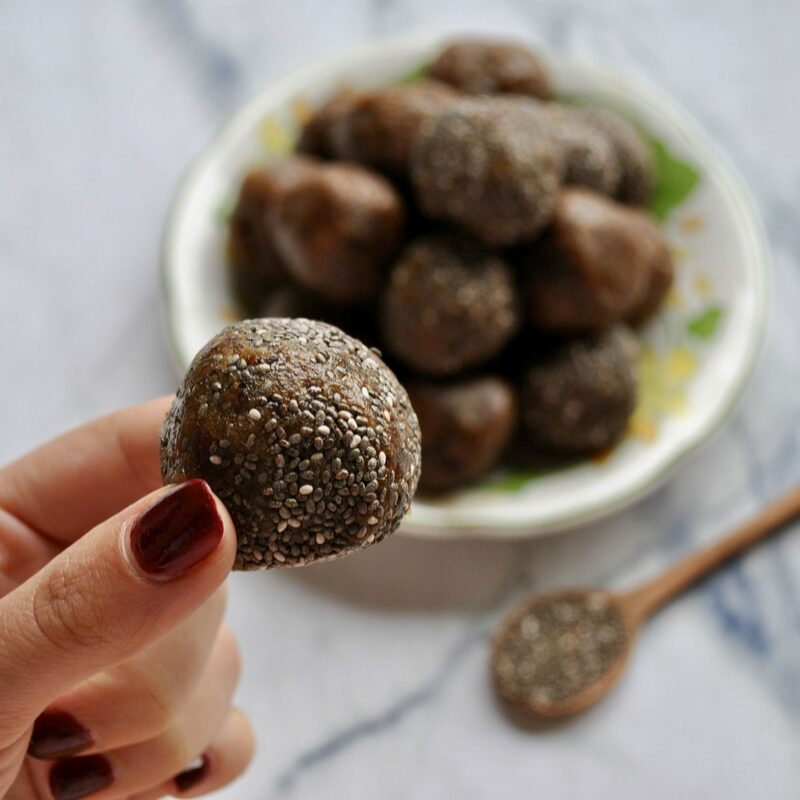 Maca is a Peruvian root which was originally consumed by the ancient Incas before battle. 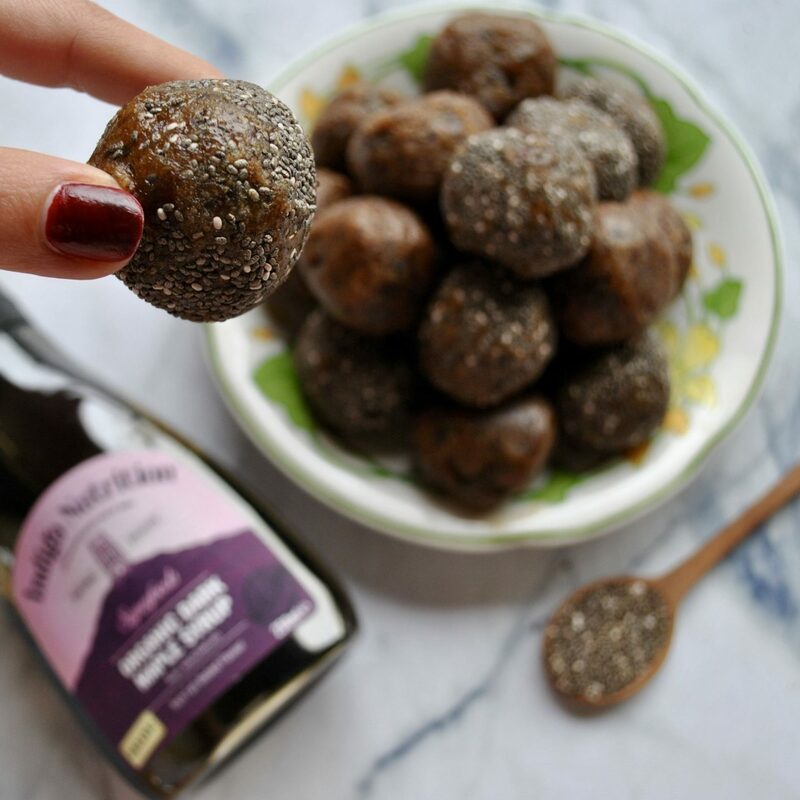 It has been scientifically proven to balance hormones and boost cognitive function, due to high levels of vitamin B, C and E.
It increases endurance and stamina since it’s rich in iron and zinc. It also contains high levels of essential minerals, including copper, potassium and manganese. It has been prescribed by traditional practitioners as a natural mood enhancer and antidepressant. 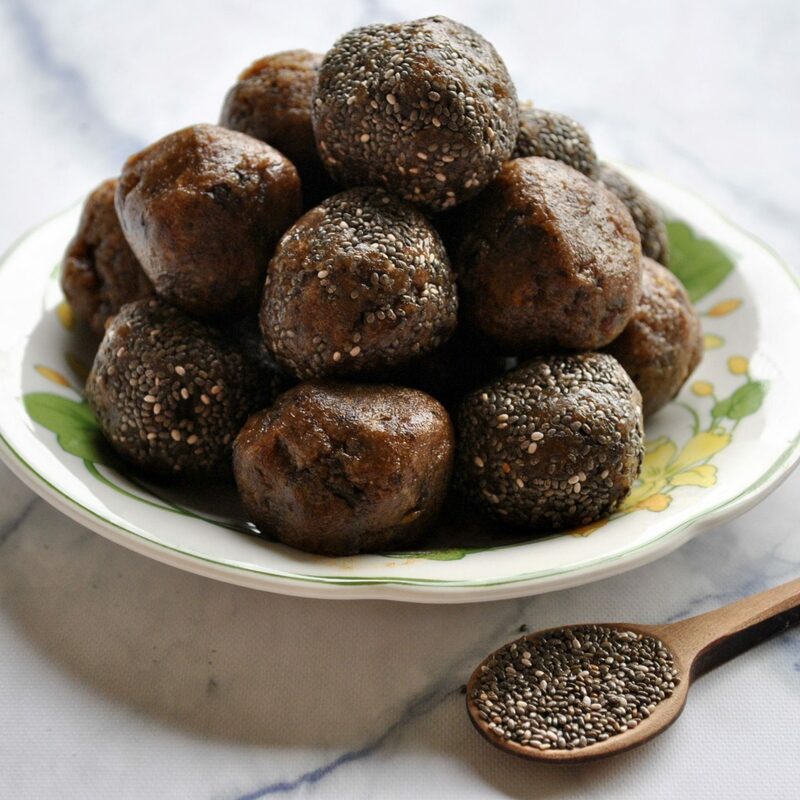 Now that you know about maca’s impressive nutritional profile, it’s time to incorporate this superfood into an incredibly tasty recipe for these grab-and-go energy balls. 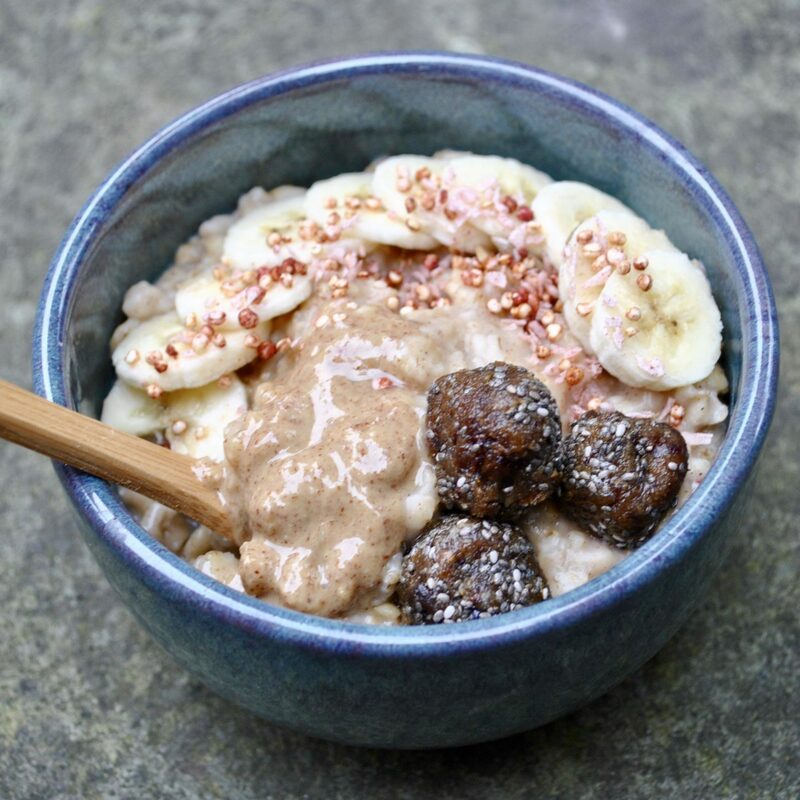 I’ve used maca powder and maple syrup from Indigo Herbs.